A little about your self, i.e. your education, family life, etc. My website is Doctor by Day, Novelist by Night. By day, I am a family physician with all that entails, but at night I spin tales. 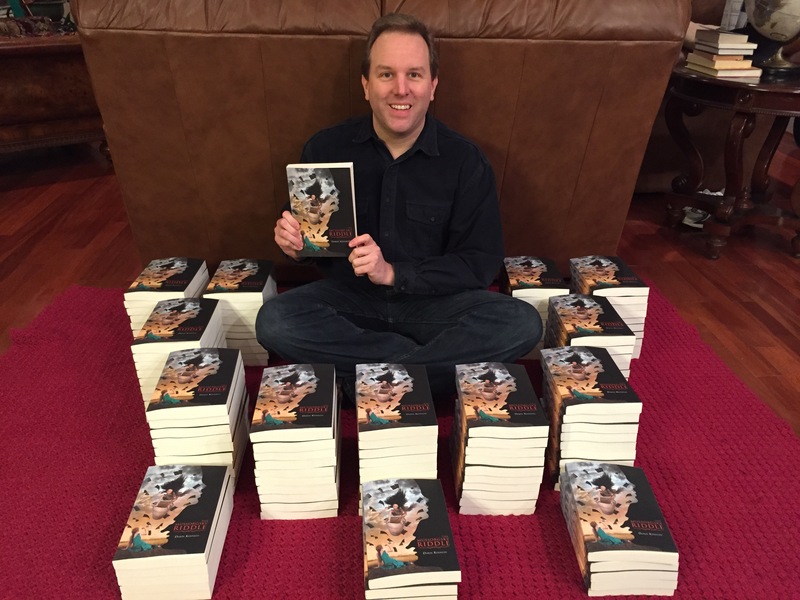 Darin: 12 Jan 2015, tomorrow as I’m writing this, is the launch day of my debut novel, The Mussorgsky Riddle from Curiosity Quills Press. Darin: In the summer of 2003, I was in Iraq as part of Operation Iraqi Freedom. Between taking care of patients, MASH style, I wrote the first half of my first novel and basically started teaching myself how to write fiction. Darin: I’ve been a storyteller my entire life. I’d say I’ve called myself a writer since 2003 when I started Pawn’s Gambit. Darin: I had wanted to tell that story since I was 16 years old. It was about time. Darin: The Mussorgsky Riddle is based on the classical symphony Pictures at an Exhibition by Modest Mussorgsky. The story is a mystery. ‘Nuff said. Darin: I hope that many listen to the music that went into the various scenes. I think only then will they truly appreciate every aspect of the book. Darin: The book is set in the real world. Mira and her psychic abilities along with what she encounters in Anthony’s mind are the only fantastical elements in the story. Darin: All made up, though I believe all stories have elements from the writer’s experiences in there somewhere. Darin: Stephen King’s Dark Tower series. I wish I’d written that. Neverwhere and American Gods by Neil Gaiman. Incarnations of Immortality by Piers Anthony. And, of course, Tolkien. Darin: I’ve been working on The Night Circus by Erin Morgenstern for months. I’ve been too busy to get back to it, but am looking forward to seeing how she ends that one. Darin: I’m eager to finally dig into the various books by many fellow authors of mine, like Gail Z. Martin’s Deadly Curiosities or John Hartness’ Raising Hell when my writing/editing schedule lightens up. Darin: My agent, Stacey Donaghy, at Donaghy Literary Group. She has been my rock through all of this. Darin: I have a medical career and a writing career. How well this and subsequent books do will inform my decision about how much time to put into each. Darin: I don’t think so. It turned out better than I’d hoped and I hope everyone enjoys reading it as much as I enjoyed reading it. Darin: Finding the time to do it. A fifty-sixty hour work week means not a whole lot of time or energy left at the end of the day to put fingers to keyboard, but we all have other responsibilities. Hoping to do better this year! 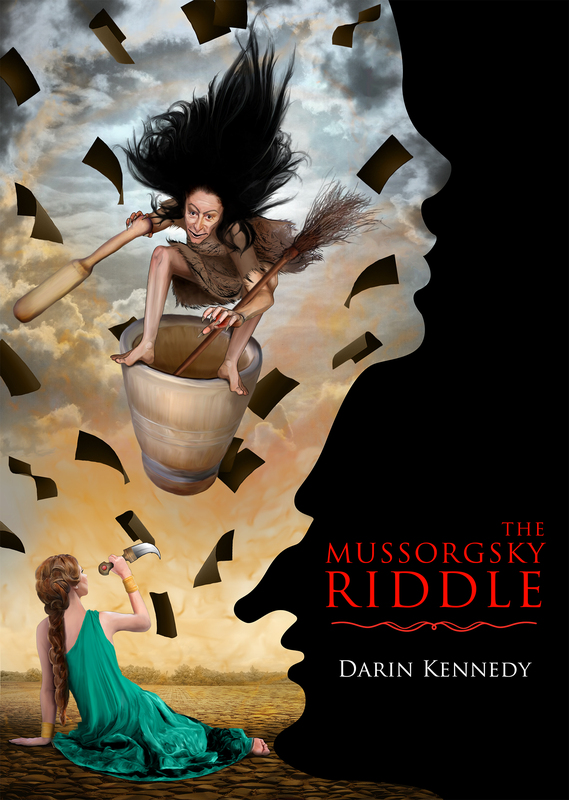 Darin: The lovely and talented Polina Sapershteyn designed the beautiful cover for The Mussorgsky Riddle. Darin: I know a heck of a lot more about Russian classical music than I ever dreamed I would. Darin: Never give up. Never surrender. Oh, and this: Keep getting better. 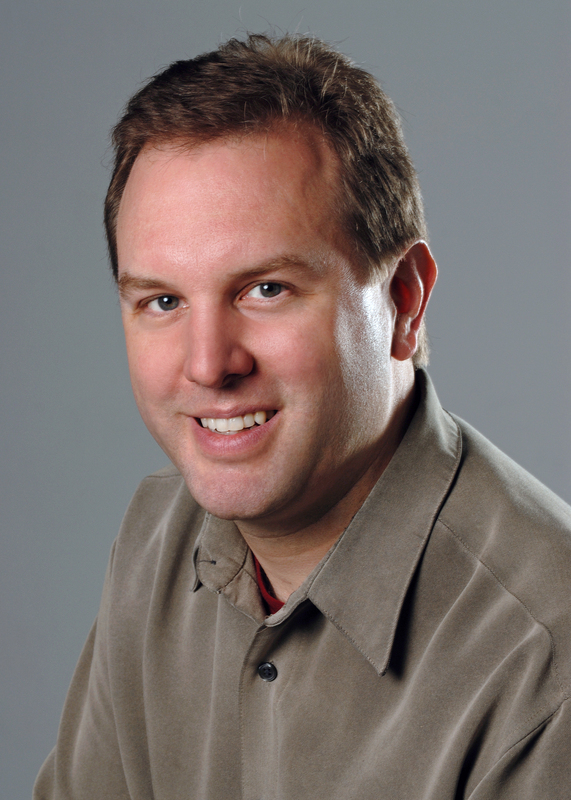 Darin: Enjoy the book, but get a copy of Pictures at an Exhibition and Scheherazade and experience the music as well! Darin: That list is long? I got to meet Neil Gaiman when he came to Charlotte a couple years back, and that was awesome. I’ve met Geddy Lee and Alex Lifeson from Rush, and that was fantastic. I think it would be cool to have coffee with Poe and pick his brain. Anybody got a spare TARDIS lying around? Darin: Currently really enjoying Arrow and The Flash. Was really liking Selfie and A to Z, but they were both cancelled. Agents of S.H.I.E.L.D. is awesome this season. Can’t wait to get Galavant and Agent Carter off my DVR. Darin: Jury’s still out. Not sure what I’ll be doing next! My website and blog can be found at http://darinkennedy.com . Links to all my social media can be found there! Thanks for having me!! !